Looking east down the Columbia River at sunset. Coast on the left is Washington State. 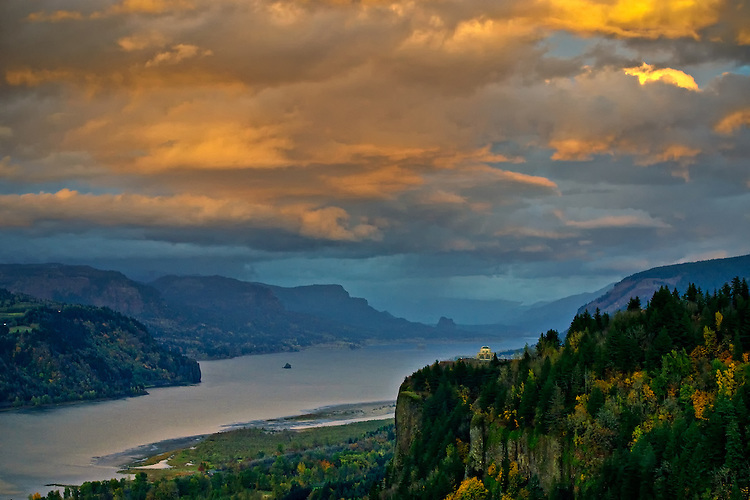 On the Right is Chanticleer Point in Oregon. Sun was setting behind us over the Pacific and the light was bouncing off the clouds. Thank you for visiting, please come back often!